Almost all we know of Dr. Sylas Neville comes from the fragment of his diary that covers 1767 to 1788. I say fragment, because the surviving manuscript begins abruptly on January 26th, 1767, and he lived long after the date it ends in 1788. The only available published transcript was made in the 1950s and suffers somewhat from the prudishness of that time – most references to his (seemingly many) sexual exploits are omitted – but enough remains to show just what an oddball Dr. Neville was, and why he fits nicely into the large group of eccentrics who have made Norfolk their home over the years. As local people say, “In Norfolk, we do different.” Whether or not Dr. Neville knew of this saying, his life conformed to it very well. The oddities relating to Sylas Neville’s life begin early. Of his origins and family he says little. What he does write, within the diaries and in various surviving letters, is so evasive, inconsistent and uncertain that it’s hard to avoid the conclusion that he felt he had something to hide. At one point, he seems to deny almost any knowledge of his ancestors – hard to believe in an eighteenth-century gentleman. At another, he seems to suggest he originated “t’other side of the Tweed”. Most likely, he actually began his life in London, which is where he is when his diary opens. Of his education we also know little. He was obviously well-educated in the typical Classical mode, since he is at ease with Latin and has no difficulty in later years in gaining acceptance to the University of Edinburgh to study medicine: a course which required the preparation of a lengthy dissertation in Latin in order to graduate. He also, early in his life, has some kind of private income, as well as hopes (unfulfilled) of a large inheritance from an uncle. However, from the start of the diary, the pattern of his life emerges: constant worries about money, due mostly to a total inability to manage his financial affairs and an addiction to overspending. By 1768, his London lifestyle was causing him serious financial difficulty. Despite noting in his diary constant resolutions and injunctions to himself to practise economy, he decided it would be better for him to leave the capital and find somewhere cheaper to live in the country. His first area of search was the South West around Exeter, but he found little to please him, remarking that he saw everything remarkable in Bath on August 29th and everything remarkable in Bristol before dinner on August 30th. That’s seemingly better than Exeter, where he wrote that he saw everything remarkable before breakfast! Next, he went along the South Coast, beginning at Lyme, then going to Weymouth, the Isle of Wight, Arundel and Hastings, never staying anywhere very long. He did not find anywhere to live, but he did pick up a housekeeper, Sarah (Sally) Bradford, in Eastbourne. She was to figure in much of the rest of his life, causing him yet more financial embarrassment, as well as considerable emotional turmoil. When he first engaged her, she already had an illegitimate child. Very soon, she became Neville’s’ mistress, bearing him several more children. That he never married may be as much due to her as to his poor finances. Both he and Sally had roving eyes. Both could become extremely jealous. Both were prone to emotional outbursts. Sally, in Neville’s view, sometimes gave herself airs inappropriate in a servant (hardly surprising). Neville continually harboured doubts about her faithfulness, despite all her protestations. Eventually, Neville gave up his search along the South Coast and headed eastwards to Yarmouth, on the coast of Norfolk. This was more to his liking and he looked for a house with much greater enthusiasm, though he was a fussy renter. In the end, he rented a small estate near Scratby, where he installed Sally and her child and tried to play the part of a minor country squire. Despite his liking for the area and the role, his chronic inability to manage money caught up with him. His diary is filled with worries about attempts to collect various debts owed to him and anxious anticipation of small gifts from his mother. It seems he sponged from her all his life, though she can hardly have been rich either. His next attempt to find stable employment and a regular income was to qualify as a physician. He worked out that Edinburgh might be the best place to study and seems to have prevailed on the trustees of his estate – whoever they were – to finance the enterprise. Off he went to Edinburgh, sending for Sally later. Surprisingly, his time in Edinburgh proved to be the most successful part of his life. He appears to have been a popular and well-respected student, obtained good reports from his professors and graduated with some distinction. All seemed set fair at last. After graduation, he went back to London, attended a few medical lectures, but little more. Nothing in his diary suggests he treated any patients, though he retained the title of Doctor for the rest of his life. Instead, he suddenly decided to go abroad with a friend and undertake a kind of Grand Tour, mostly in France and Italy. Where he got the money from, heaven only knows! While he was away, Sally gave birth to a daughter, another Sally. Nonetheless, he showed no eagerness to return home, making a leisurely journey through France to Paris and then southwards, until France’s open support of the American Colonies forced him to press on into Italy in some haste. There his companion, a Mr. Gifford, died. Even this sad affair raised some complications in Neville’s life that were to trouble him for some years. The friend and travelling-companion Gifford had added a death-bed codicil to his will, appointing Neville an additional executor to clear up his affairs in Italy. Now Neville claimed two large sums from the estate: £400 for his expenses as executor, plus his ‘anxiety and loss of health’; £269 as paid to ‘an Italian lady of quality’ on account of an affair he said Gifford had had with her. Not surprisingly, this upset one of the English executors and a Chancery Court case followed, which lasted several years, caused Neville to make many trips to London on his own and ended in a compromise. After three years, he came back to England in 1780. Sally and their daughter were still in Newcastle. Neville visited them, but did not stay long, roaming instead back to Edinburgh, then south through newly-industrialised England (which he hated) and back to London. There he hung around in the hope of securing some type of government appointment and at length allowed Sally to join him. He never got the appointment, so he returned briefly to Scotland. 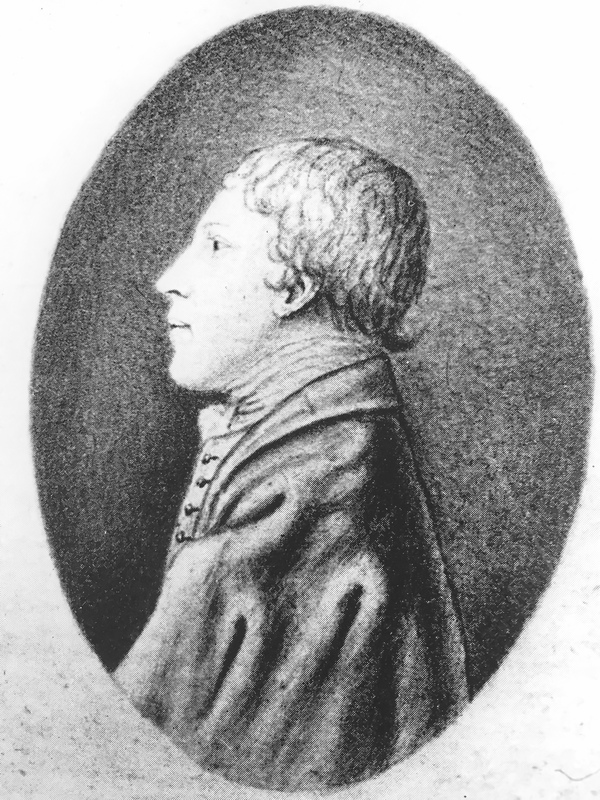 Eventually, he decided to move yet again, this time to Norfolk, where he settled in Norwich and claimed he would at last practise as a physician. Given his track-record, it is difficult to estimate exactly how much genuine effort went into his attempts to set himself up in doctoring. Most of the evidence comes from the many letters he sent at this time asking for recommendations or help. Naturally, such letters always painted the picture of a man of ambition and drive, needing only a little help to succeed in the world. Sadly, little in his life before then suggested such a person. Nor is it likely that allowed a small matter such as concern for the truth to get in the way of a suitable turn of phrase. He also had to account for Sally and their children in some respectable way. Once again, his chosen method was devious, for he ensured the poor woman – who, despite his suspicions of her, had born his children, followed him all around Britain and waited patiently while he amused himself overseas – was married off to his manservant Read, legally this time.. Nor did Neville’s own sexual habits change. He was still going regularly to London in connection with the case against him in Chancery over his friend’s death in Italy. On May 24th, 1784, an entry in his diary in Italian simply reads: “With Emily the whole night.” Emily – her surname is never mentioned – seems to have lived in London and to have been his ‘consolation’ for the efforts he had to make to deal with the law-suit. Certainly he gave almost as much attention to her at this time as he did to his affairs in Chancery! Eventually, he became a tireless author of innumerable begging letters, sending them to anyone he could think of who was wealthy. Here, it seems, he found his true vocation, for he survived in Norwich for a further fifty years of life almost entirely on the proceeds of what his letters drew in donations from kind correspondents. He died at last in 1840, virtually unnoticed by the world, having survived poor Sally by many years. This entry was posted in Medicine & Science, Norfolk Eccentrics. Bookmark the permalink.